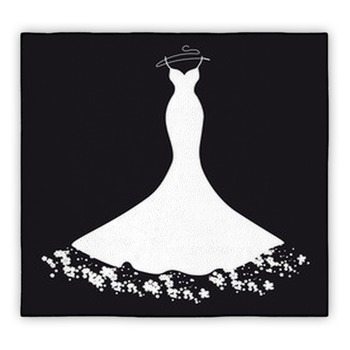 Give yourself a reminder of the happiest day of your life with our stunning wedding rugs. We have a beautiful variety of floor mats, area rugs and carpet rugs with wedding motifs that will be perfect for your home or business. Flowers are essential to any marriage ceremony, so we have a huge selection of wedding rugs featuring floral designs. 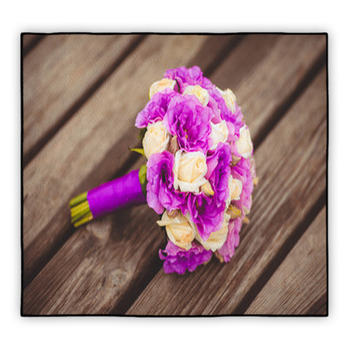 You'll find carpet rugs depicting elegant bridal bouquets in a host of colors and styles. Or choose from gorgeous area rug designs featuring silver and white flower prints in damask and other antique floral wallpaper motifs. 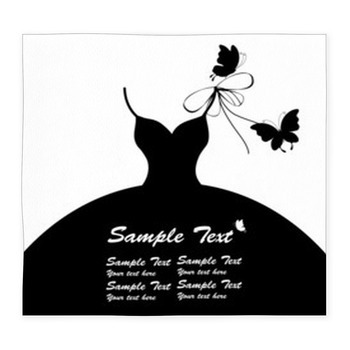 There isn't a wedding without at least a short engagement, and we have great rugs featuring this motif. 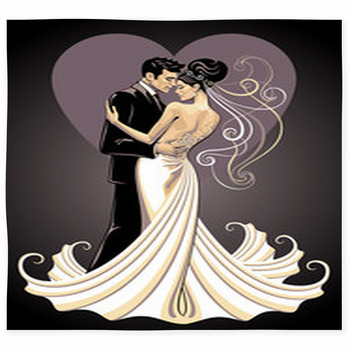 You'll find carpet rugs depicting proposals, with men on one knee holding out a ring box, in cute cartoon designs or simple silhouette. 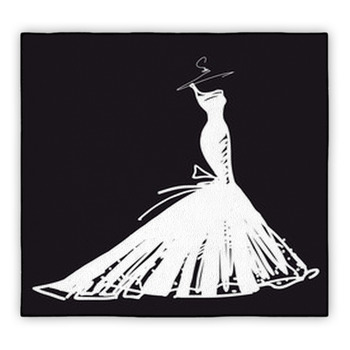 Or select from our diamond engagement ring area rugs. You'll find dazzling diamond solitaires in both yellow gold and platinum isolated on black or white backgrounds on these rugs so that you can just focus on the sparkle. 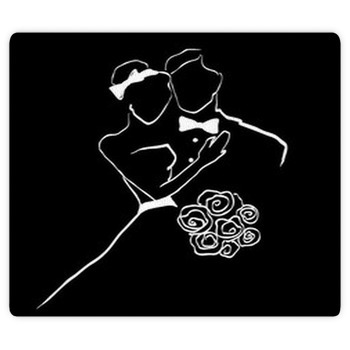 If you want a rug that signifies the big day, we have motifs for that too! 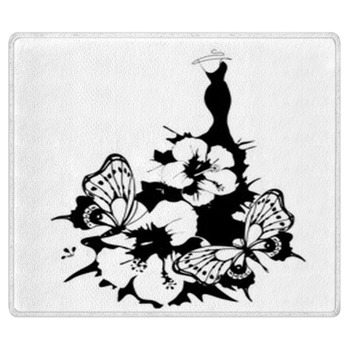 Check out our floor mats featuring stunning white bridal gowns in a variety of traditional styles. 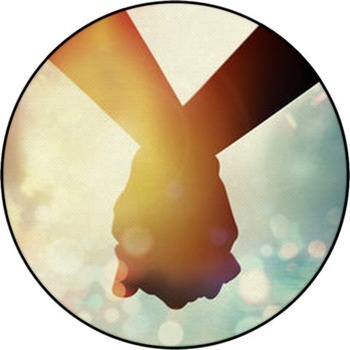 Or choose carpet rugs that showcase wedding rings. 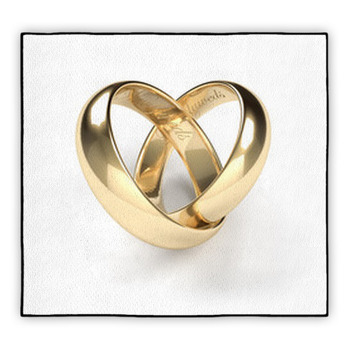 Many of these designs are artistic depictions of the golden rings interlocking to represent a strong marriage. 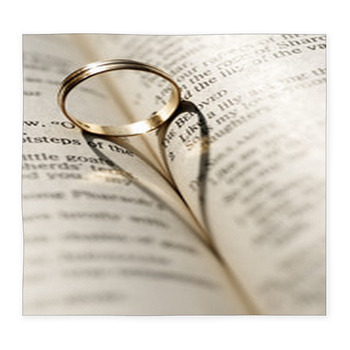 We have a host of additional home decor items in wedding themes that will match or complement your new rug. 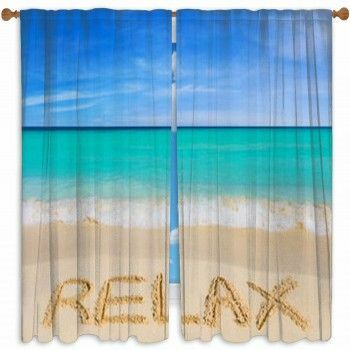 Choose from wedding-themed bedding, window curtains, fabric, blankets, wall murals, pillows, shower curtains, wall art, beach towels and much more!.